Hi everyone! I wanted to give you an update on a couple of good news items from South Africa! Today I spent time in Pen 2—the pen that both Paul and I got to experience fairly early in our SANCCOB experience. It’s where I learned to handle birds and managed to get my fair share of new bruises. 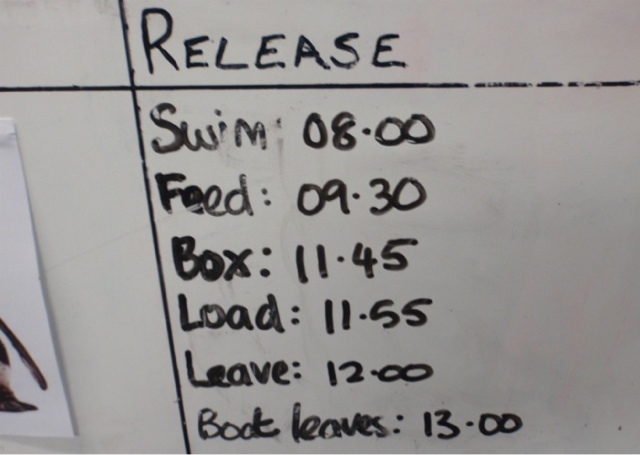 But there was no time for a reunion as it was a busy day in Pen 2. Another release day was here! 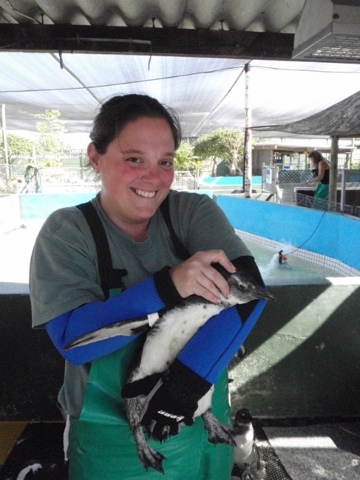 Nine more African penguins were released today! I wasn’t able to attend the release because I was working in Pen 2 but I was able to help get the birds ready for their departure from SANCCOB. As before, many of the birds had measurements taken, some had metal tags put on for future identification in the wild and all got a bright pink spot that identified them as birds that has been released. It was a lot of work to get the squirmy birds to sit still long enough for all this to happen but well worth it. 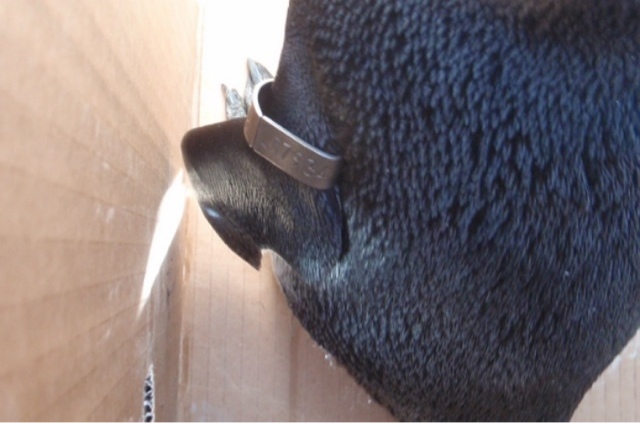 After we were done, five boxes of penguins left SANCCOB headed for the waters near Robben Island. Awesome! 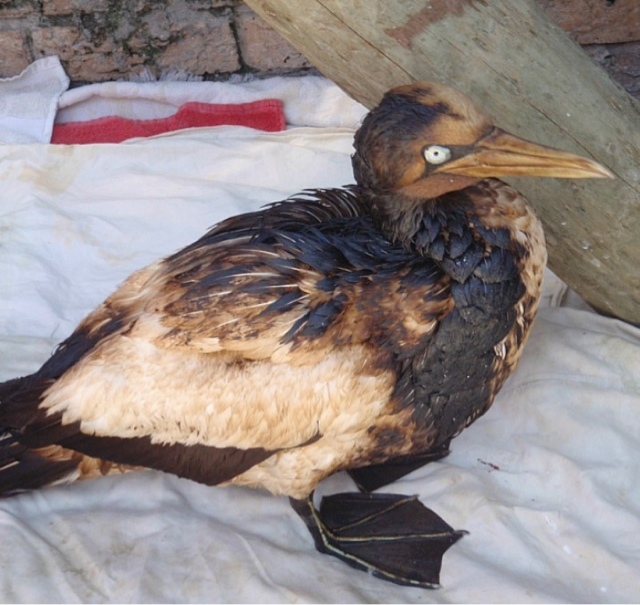 Another good news update involves the oiled gannet that I had mentioned in previous posts here and here. He continues to improve every day, so much so that they washed him for the first time! Washing oil off of a bird is a stressful process and SANCCOB only does it when they know the bird can handle it. The gannet had improved to the point where it was a good idea, so we got a-scrubbing. 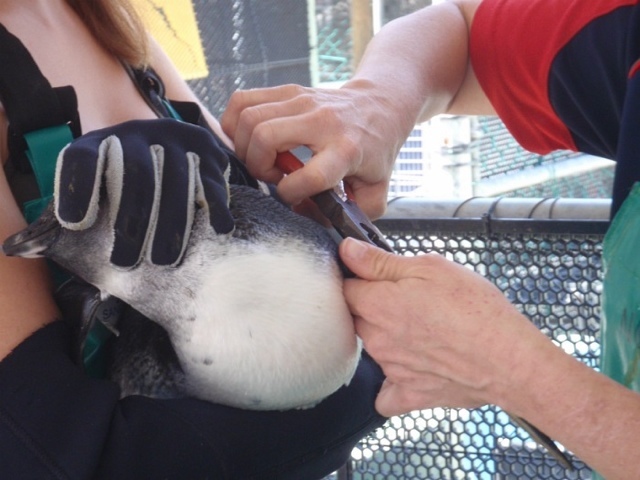 Because he is a large bird, the process takes extra long and during the process the SANCCOB folks noticed he was getting a bit tired. So though a lot of the oil is gone, he will be washed again in the future to remove the rest. 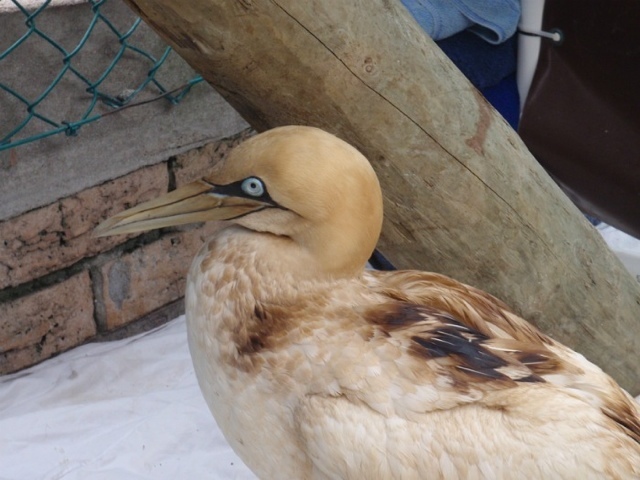 But a great step forward for the gannet…hopefully a step towards release! 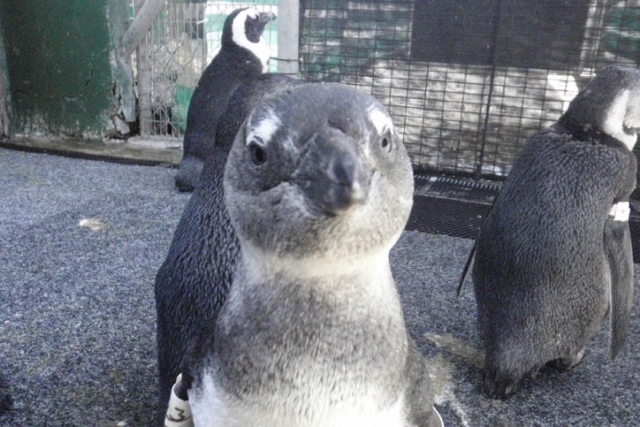 So good news coming from SANCCOB recently! It’s an awesome feeling to help these birds and even better feeling when all of the hard work pays off! See? I do work here!